Are display devices authentically reproducing images? The devices we turn to everyday use images to bring information to life. People share photos, companies present big data, and speakers leverage visuals to support their findings. What binds this material, making it significant and easy to digest? Color. In a world where visual-based information passes fluidly between handsets, monitors, digital signage, and projector installations, the quality and integrity of the colors that channel our information is changing the way manufacturers engineer visual display products. In most flat-panel based devices, color accuracy has achieved parity across different units. Users obtain the same color experience whether they’re browsing photos or viewing a film on a tablet or a smart TV. However, within the projection industry, manufacturers are only beginning to place emphasis on delivering consistent colors to the screen—typically shying away from color accuracy in favor of brightness. However, as projector brightness approaches higher and higher levels, color quality gets affected, resulting in slightly green-shifted projectors. Since the color green measures higher on lumens meters, this creates the false impression of higher brightness. Of course, customers can correct the color on their units to compensate, but the result will yield a dimmer image than promised at the time of purchase. In order to ensure that consumers obtain the best possible color performance, projector manufacturers are starting to introduce standard Red, Green, Blue (sRGB) as the default setting on their products. Designed to ensure that color is adequately represented on displays, sRGB is one of the primary standards used for displaying color. sRGB renders practically all content on the Internet—and as the Internet becomes the world’s main vehicle for content distribution, the case for full-sRGB displays becomes even more significant. While most projector manufacturers include a sRGB mode, it remains limited as an option—users need to navigate menus and manually select it. Furthermore, those products will only display up to 70- or 80-percent of the sRGB spectrum—failing to meet full color integrity standards. This becomes particularly important when comparing a projector’s colors across devices such as smartphones, tablets, or monitors, which are already 100-percent sRGB compliant. As a general rule, an image or video captured in sRGB should be reproduced or viewed on an sRGB-capable monitor or projector to maintain the original integrity. When a projector is part of this workflow, a non-sRGB compatible device can affect the sharing of advertising campaigns, falsely replicate cinematography, or cause other complications. While content is usually created with the consumption device in mind, several factors can adversely affect color. For instance, the display may not be equipped with the proper color standard to project intended content. As projectors age, they begin to show variations in color quality due to two primary factors: lamp usage and technology-type-related color fading. 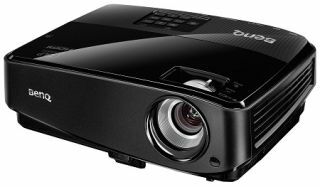 Almost all projectors are equipped with lamps which will eventually decline to 50-percent of their original brightness, and will need to be replaced. Since lamp-color profiles change with age, users should remember that third-party replacement lamps will cause inaccurate color rendering. Image color fading is a projector’s inability to render colors adequately. Occurring slowly over time, fading reduces contrast levels—making it difficult for viewers to distinguish dark and light pixels within images, or blue colors disappear as they fade into greens. Another critical fading issue is the loss of a projector’s ability to properly replicate accurate white points, impacting other colors in the process. Color fading typically affects projectors using non-DLP technology; DLP projectors maintain the ability to show authentic color over time—a key value point for both end-users and installers. Within the industry, the ability to deliver consistent image quality with color integrity and accuracy reduces maintenance, increases installation flexibility, and allows integrators to offer greater value to customers. In corporate environments, data projectors have typically been unable to reproduce colors effectively for Excel™-based presentations. When presented within meetings or conferences, colors are often skewed from those selected during the creation phase. By turning to 100-percent sRGB projection devices, presenters can show information exactly the way it was intended. For systems contractors, this opens up new sales opportunities within creative industries such as advertising, education, and anywhere accurate color representation is paramount. As consumers continue to add projection devices to their digital ecosystem, manufacturers are beginning to understand the benefits of ensuring color consistency across all media. For the projection industry, this means authentic color reproduction; bright images with crisp, readable text; and devices where colors will not fade/degrade over time. To simplify the transition, manufacturers should also consider equipping display devices with adequate, straight-from-the-box color capabilities—giving consumers, educators, and creatives the capability to display content the way it was intended. Felix Pimentel is the sr. product marketing manager of BenQ America Corp.